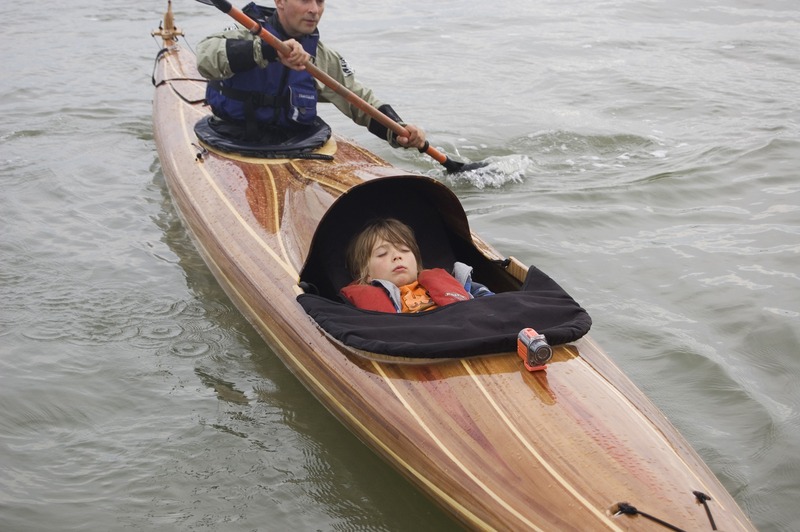 Alaskan yellow cedar, western red cedar, Fijian mahogany, oak, ash, olive, walnut, and mixed media. 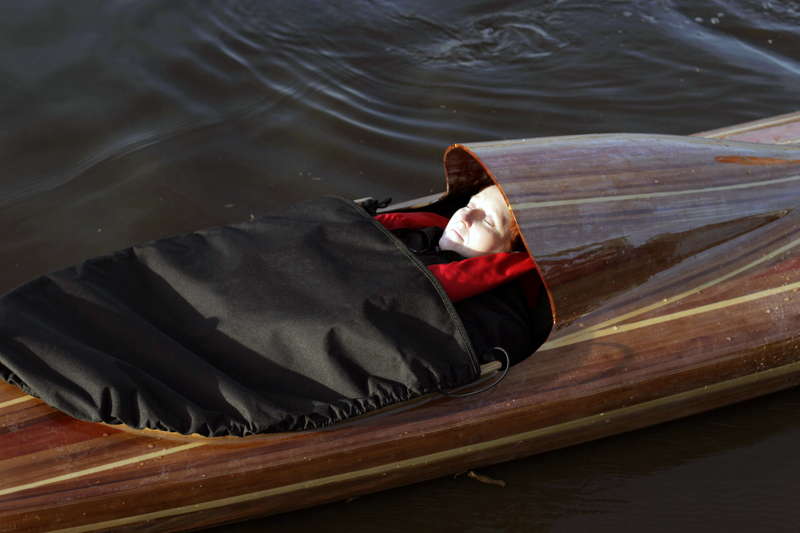 Ghost is a kayak; a sculpture, designed by Adam Chodzko, as vessel, coffin, bed, costume and camera rig. 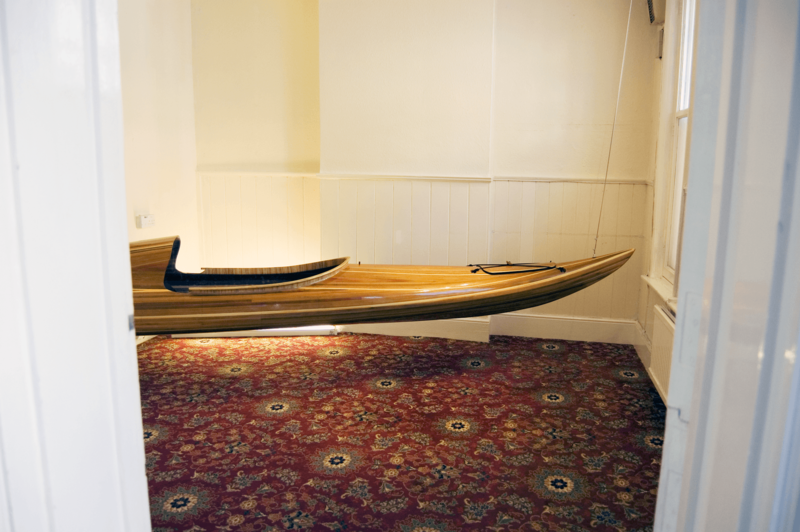 It is designed to ferry people to the ‘island of the dead’, with a paddler at the stern and a passenger lying down low and flat within a cockpit towards the bows, like a body in a coffin with their head slightly raised, travelling along the interface between water and sky. A camera, mounted on Ghost‘s deck, records each unique voyage, the passengers’ point of view, structured as a memory or dream, monitoring the often awkward (shallow, partially concealed) littoral environment. 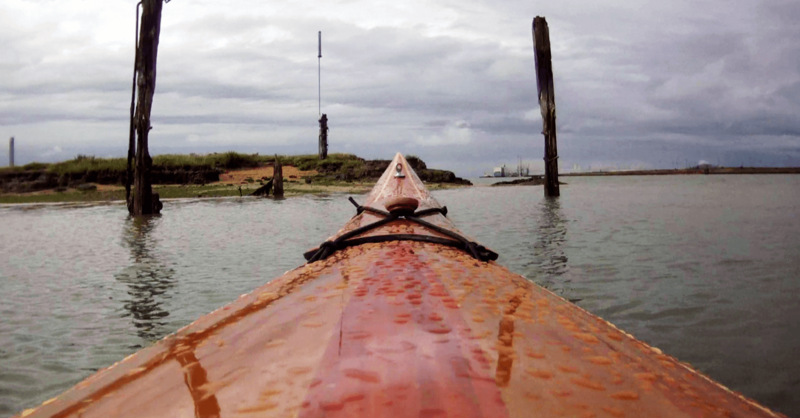 To initiate the Ghost project in 2010 Deadman’s Island, a small island off Queenborough, Isle of Sheppey, Kent, was selected as the first destination for the journeys. 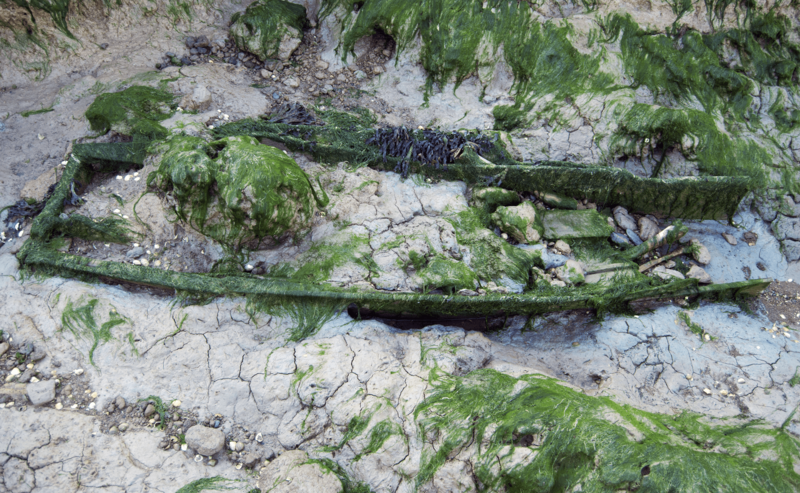 Deadman’s Island was used as a burial site for bodies of people who had died on the prison hulks moored in The Swale and River Medway in the 18th and 19th Centuries. 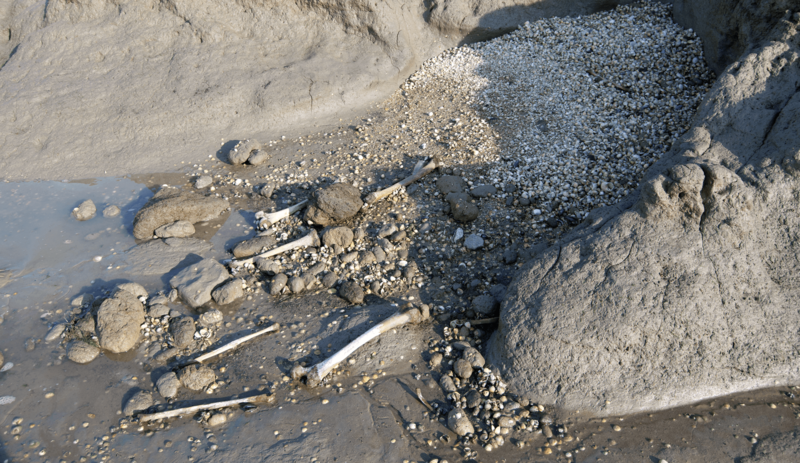 As the sea level rises and the island is slowly eroded at low tide coffins and the remains for skeletons have become exposed. A ‘halo’ of human bones surrounds the island which as a Site of Special Scientific Interest, due to nesting sea birds, prohibits any (living) humans from venturing onto the island. Ghost is a vessel for visiting the dead. Its design (eg; the deck patterns, eyes in the hull, the position of the passenger, its cargo including wormwood seeds, etc) is influenced by the possibility of this encounter. 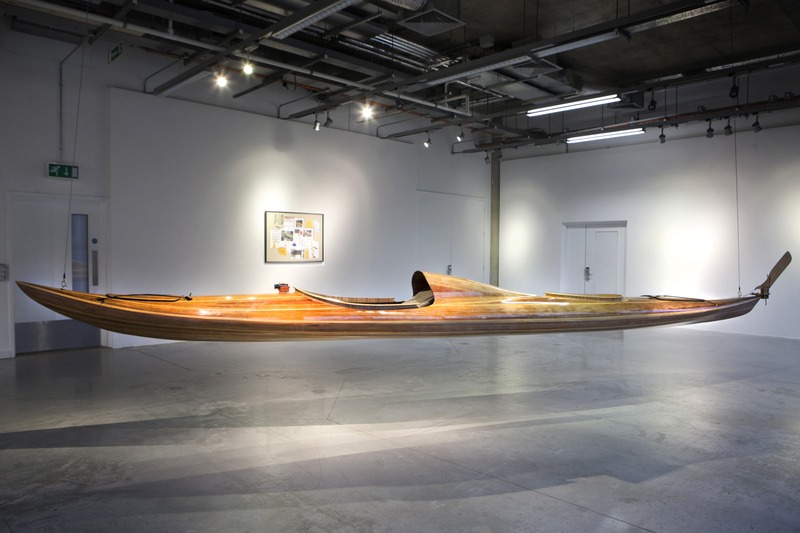 During exhibitions Ghost appears and disappears from the exhibition space in order to be used on water, returning to be suspended in the gallery space with the addition of mud, small scratches and the trace from water droplets on its hull . The marks it accumulates from this usage act as a further record of its activity, a form of drawing onto the body of the vessel. 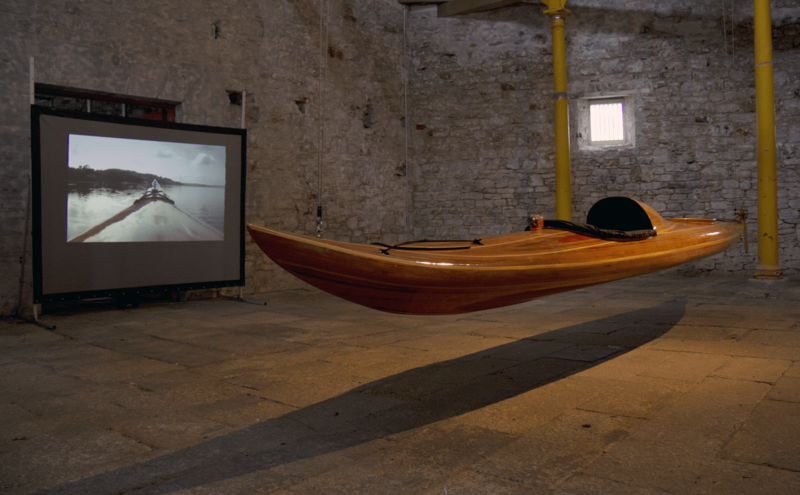 Ghost is a sustained methodological process with the ‘island of the dead’ acting as a frame for the passenger’s experience of their voyage and the potential for transformation within this encounter. It could be the perception of external evidence of entropy, stagnation, pollution, climate change or historical change. Equally, it could be focussed on internal experiences of liminality through Ghost (as object and process) suspending a series of states and elements in close relation to each other in order to allow the observations of their divisions and flux (such as between sleeping and waking, living and dying, water and air, object and event, myth and reality, the trust between guide and passenger, activity and passivity, stasis and journey and the notion of place) and the perception of our selves, in the present, somewhere within these flows. Through ritualising the Ghost journey, from the interactions based on the role of the gift (the offer of a physical sensory experience produced by physical labour, in exchange for both participation and passivity from the passenger) as well as all the various encounters between artist and viewer that the project unfolds, the Ghost process tries to examine the different fluid networks of consciousness between maker, guide, subject, object, viewer and receiver. 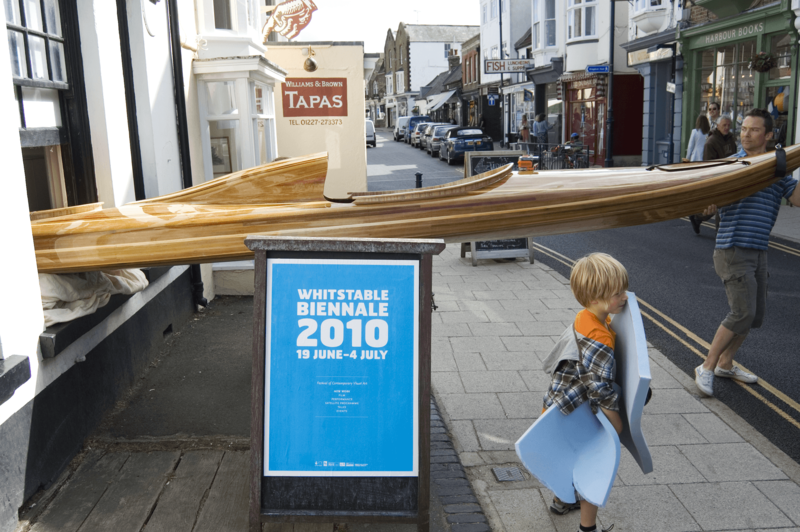 It explores the potential for enhanced states of perception of place through the experiences of: flow, passivity, activity, acoustic resonance via the hull, of care and guidance and trust , of being suspended and of swaying within fluid, all of these collectively producing, temporarily, a particular (and unique) state of being. This state appears to be drawing together a dissolution of the differences between what is perceived and our sense of self and more specifically for those suffering from conditions, such as insomnia, an externalised expression of a state of mind and body. Ghost continued in 2011 in Newcastle upon Tyne, as part of The Profane Myth. 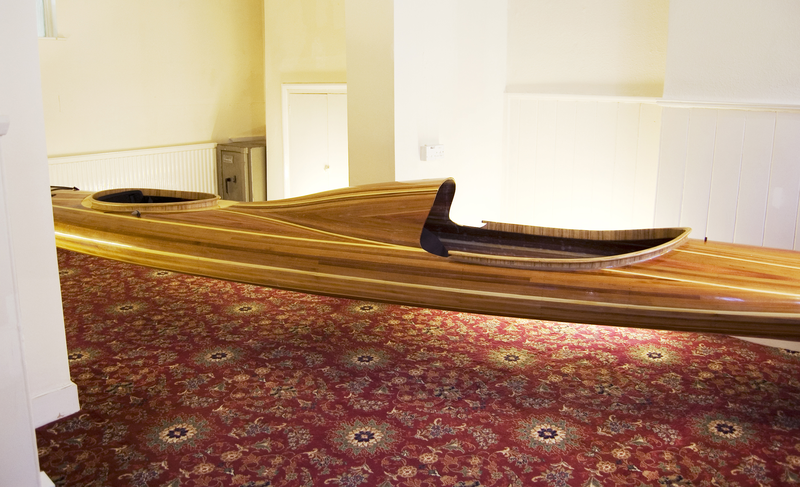 Exhibited in the city’s Mining Institute, (a building containing knowledge of the underworld) it took, as passengers, night cleaners from the BAE Systems military equipment production site to Dunston Staiths along the Tyne and down the River Team. 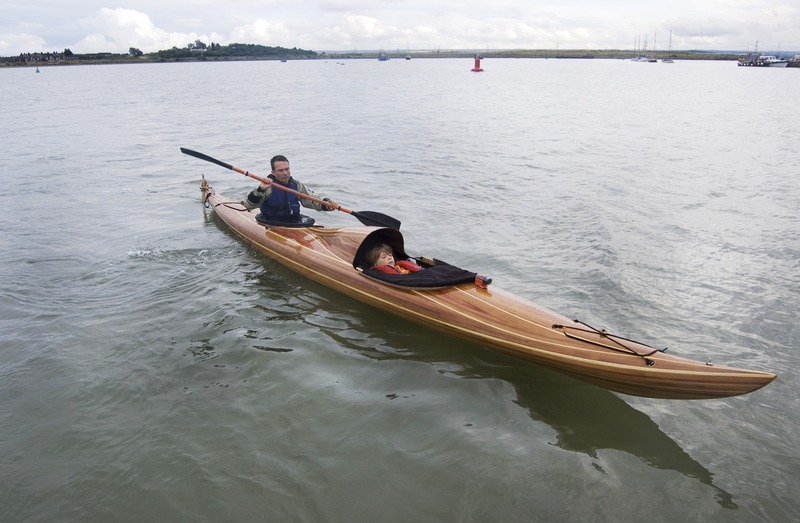 In 2012, over the course of a year, Ghost was operating in Devon, along the length of the River Tamar, as part of The River Tamar Project.